I had no idea what I was expecting when I started this, but it wasn’t what I got from it. And I am completely fine with that. I really enjoyed this book because it was unique and something different from what I normally read. I love John Green’s writing style, and it was nice to read something written by him again. Alaska was a really cool, and very unique to say the least. She was a very interesting character to read about because she had a touch of rebellion and it was nice to read about her pranks. Alaska was a very free spirited person and very mysterious. Miles ends up going to the Culver Creek Boarding School to follow in his father’s footsteps and meets Alaska who becomes his first crush. Miles wanted to find his Great Perhaps, and Alaska helped him towards that. The cast of characters was really real. I feel like this was more of what college would be like rather than a high school, but what happened to them felt real. Alaska’s mom died, and she felt guilty about it; this made her relatable because she was vulnerable. Miles wanted an adventure, and Alaska and Colonel showed that to him. He finally understood what having friends was like. I really liked this book, but I don’t really have an exact reason why! I did like the characters and the writing style, but the plot and story weren’t something completely different. I think it’s the fact that the characters were fun to read about. I really liked reading about their pranks, as well. The story progressed, but didn’t go anywhere too crazy. One of my favorite scenes was with the speaker near the end when they were doing Alaska’s prank. I literally laughed out loud whilst reading that part. I highly recommend this book just to experience it. John Green is great, and I really loved jumping into one of his stories again! I read this book 10 years ago- WOW. I was in a book club at school that participated in competitions in which we had to recall random, but identifiable quotes from a list of 30 books we were tasked to read for the year. Looking For Alaska was one of my favorite books from that year so I easily got the quote that was taken from it. Good times! I love this book! I know it has a lot of mixed reviews, but I thought it was perfect. I loved Alaska’s character so much. I really need to re-read it when I have the time. 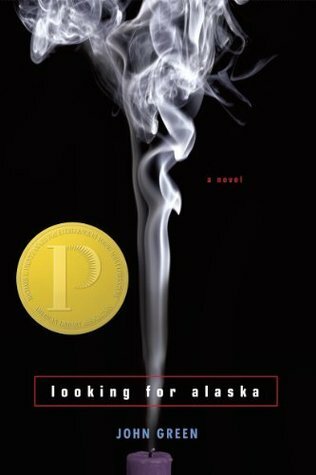 I didn’t really like Looking for Alaska. It was a mediocre read for me and I thought Alaska and Miles were too much like Quentin and Margo. I totally get what you mean when you say that you can’t say exactly why you liked this book. I felt the exact same way. It was good, and I really enjoyed it, but there is nothing in particular that makes me like it. It’s just a great book.